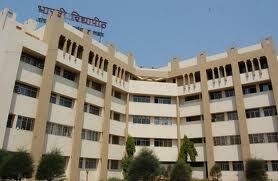 The College of Nursing, Bharati Vidyapeeth, Navi Mumbai has been established in the year 2009. This is a college attached to the deemed university Bharati Vidyapeeth. It is a very popular college in Navi Mumbai and students from various parts of India and also from other parts of the world join the course. The college is also approved by the Indian nursing Council and Maharashtra Nursing Council. There are a lot of excellent facilities for all the students. Bharati Vidyapeeth, College of Nursing. 392 bedded Navi Mumbai Municipal Corporation hospital at Washi. Other reputed local hospitals in Mumbai. a) Your age should not be less than 17 years, by end of year of admission. Pass in DGNM course with required experience. Admission is through management quota as well as regular mode. The management quota seats can be obtained on payment of management fees. The regular admission is through the entrance exam that is held by the institute. Selection of candidates is only based on a written test and interview. The entrance exam will be held with multiple choice Questions. The questions will be based on the qualifying exam. For example, for DGNM and for BSc(N) courses, the questions will be from the 12th standard Physics/Chemistry/Biology/ General knowledge/ English subjects. For students under management quota, there will not be any entrance test. You can get the seats under this quota on a first come first served basis. Nursing seats without entrance tests are available under management quota. Library: The Library has an area of 1546 square feet with more than 1600 books. There are 25 books per student in the library. There are various national and international journals and the library has also subscribed to e journals. Internet facilities are also available along with various CDs for interactive learning. Labs: The laboratories for Anatomy, Nutrition, Fundamentals of Nursing Maternal Nursing, Child Health Nursing, Community Health Nursing, Maternity Nursing, are available in the institution. There are 15 full time faculty in the college. This includes 6 professors and 9 clinical instructors / tutors. The faculty are excellent and provide adequate coaching and soft skills to the students. All the faculty are well qualified and excellent teachers. The hostel facility is excellent with accommodation available for 240 girls and 310 boys in separate facilities. The recreational facilities in the hostels provide excellent chance for the students to learn in a relaxed environment. Other than the indoor games available, you will find facilities for outdoor games too. Mess facilities with vegetarian and non vegetarian food are also available for you if you join this college. All the graduates are placed in well paying jobs. Some of them are recruited into the local hospitals in Mumbai and others are recruited in various hospitals in and around the country.